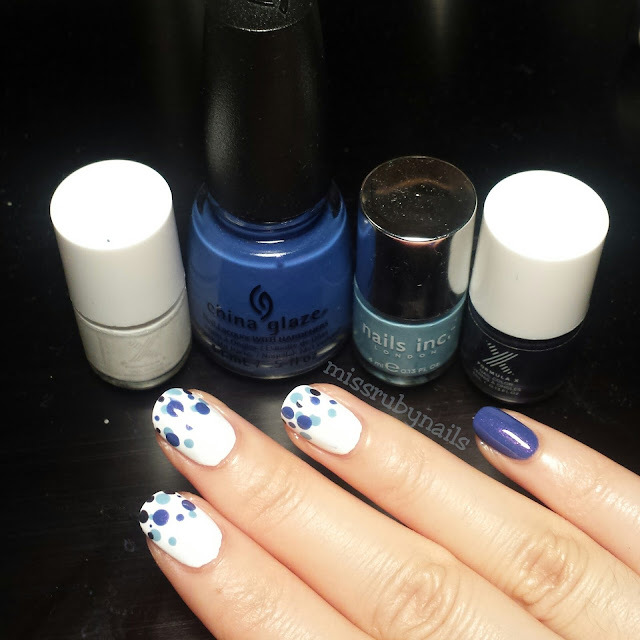 This is a simple and quick manicure with polka dots using shades of blue! 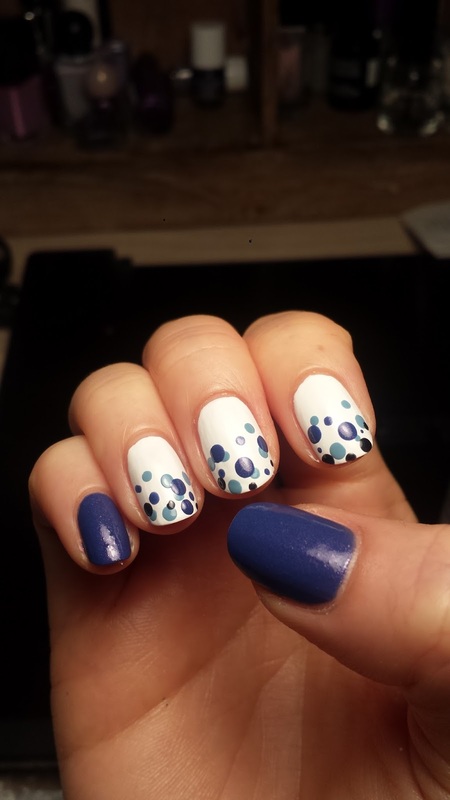 These are the base color I used. 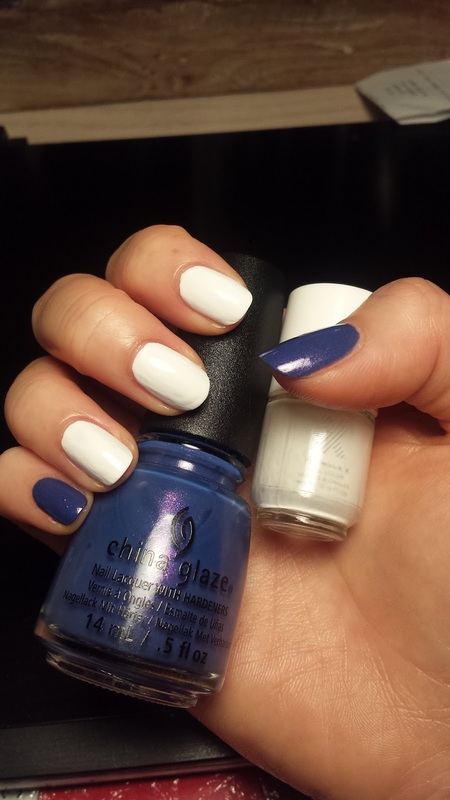 I used 2 coats for both white and blue polishes. 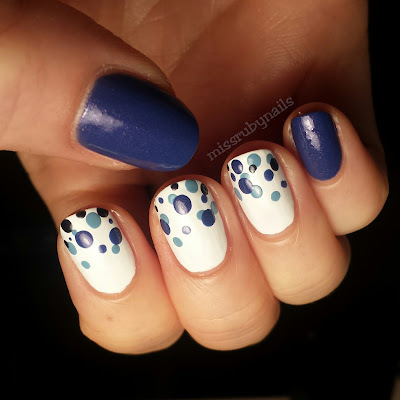 Then I took my dotting tools in different sizes to add polka dots on the white nail randomly and I made some overlapping of dots to have a more scattered look. Easy!